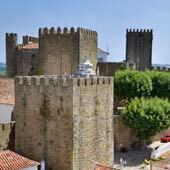 Lisbon to Estoril by Train - Updated for 2018! Lisbon to Estoril by Train - Fully Updated for 2018! Estoril is a popular holiday destination that boasts wonderful beaches, fine restaurants and the largest casino in Portugal. 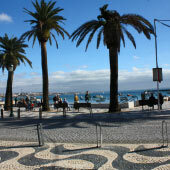 Estoril is located 25km to the west of Lisbon and both locations are connected by a reliable and inexpensive train service. 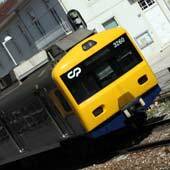 This guide will explain in detail how to travel from Lisbon to Estoril by train, including ticket prices, links to 2017 timetables and station information. 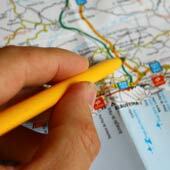 For a guide about traveling from Lisbon airport to Estoril, please click here. Estoril is connected to Lisbon by the Cascais-Lisbon regional railway. This railway serves all of the towns and beaches that lie between Cascais and Lisbon and are situated on the northern side of the Tagus estuary. The town of Estoril is the third from last station (which is called Estoril) and this is the station to disembark for the casino. There is a second station in Estoril, called Monte Estoril, and this serves the area between Cascais and Estoril. The Cascais-Lisbon railway is operated by Comboios de Portugal, often shortened to CP, which is the national train operator of Portugal. All of these tickets are charged to the re-usable Viva Viagem card, which is initially purchased for €0.50. The Viva Viagem card is used for the Lisbon metro, bus and tram services but it can only be loaded with one type of ticket; it cannot store both train and metro tickets. The Lisbon to Estoril train ticket is not included in the 24-hour unlimited public transport ticket, this 24hour ticket is great value when exploring Lisbon and is purchased for €6.40 from any Lisbon metro station. There is a 24-hour unlimited urban-railway ticket for €6.00 but this does not include the public transport in Lisbon (metro/bus/tram). 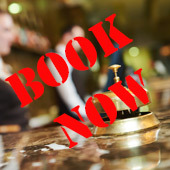 The Lisbon to Estoril railway is a regional train service, therefore tickets cannot be purchased from the CP website or pre-booked. There is no requirement to pre-book as seats are always available and there is sufficient space for bulky luggage. Tickets must be purchased before boarding the train and there are barriers between the station concourse and the platforms. The ticket machines are often much quicker than queuing for the ticket office and all machines have instructions in multiple languages, including English. 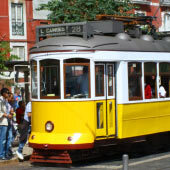 The train to Estoril departs Lisbon from the Cais do Sodré train station. This train station is to the west of central Lisbon and is connected to the green metro line by the Cais do Sodré metro station. 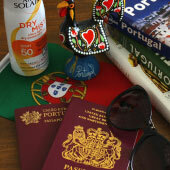 Estoril train station is centrally located on the edge of the beach and close to the grounds of the casino. Estoril station is very small but it does have a ticket office and ticket machines. All of Estoril bus services depart from outside the train station and there are always taxis waiting in the same area. The Estoril to Lisbon railway is a busy train line serving both commuters and beach goers. The train line is no more dangerous than in any other big city, but never overly display money or other expensive items, which may entice pickpockets (who are always non-Portuguese). When travelling late at night it is advisable sit close to other passengers, as there have been reports of late night robberies on lone travellers (these are never during the day). The railway terminates in the pretty and traditional fishing town of Cascais, which is about a 20-minute walk from Estoril. A pleasant activity while Estoril is walking from Estoril to Cascais along the beach front promenade and catching the train from Cascais. Cascais train station is in the same fare zone as Estoril so the return ticket is valid. This railway also connects Estoril with the best beach of the region, the Praia de Carcavelos. Estoril is 25 km to the west of Lisbon and is connected by a good road network. 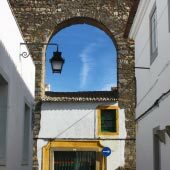 Driving to Estoril from Lisbon is a viable option for those visitors who have a rental car, as Estoril has significantly more car parking spaces than Lisbon or Cascais. There are two routes from Lisbon to Estoril, the N6 follows the coast and is much more scenic while the A5 is the main expressway and significantly faster. For visitors who may be considering driving from Estoril into Lisbon should drop the idea immediately; central Lisbon is a nightmare place to drive; with limited signage, erratic drivers and no parking. If heading from Estoril into Lisbon take the train.